Gerald Keil (whose story is coming up) remembers the young William Dahlgren. GERALD: Willie Dahlgren couldn’t have been more than 18 years of age when I first met him, and he still had braces on his teeth. Despite his youthful appearance, he was perhaps the most independent and single-minded of us all. He occupied the front room, the choicest and largest room on the floor. He needed the extra space to manufacture magic tricks, both for sale and for his own use. For, when he wasn’t being a student, Willie was a magician, going by the name of Willie the Wizard and earning his living performing at parties and cafés around the Bay Area. He knew just about everyone involved with magic – including those who misused it. 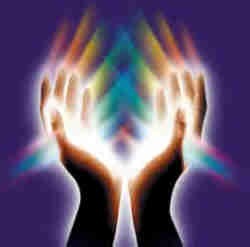 There was, for example, a woman who operated a spiritualist church. Willie coaxed us into attending one of her services. Participants would write down questions for their deceased loved ones, sealing them in envelopes provided by the organizers. After delivering a sermon extolling spiritualism, Madame apparently read the letters’ contents and received answers from the Beyond, without needing to open the envelopes first. There were gasps of awe, rapturous applause, testimonies of fulfilled hopes, and outbursts of unrestrained thankfulness from the audience. Their gratitude was duly reflected in their generosity when collection time came. Upon our return to Divisadero we gathered in Willie’s room to discuss what we had just experienced. Naturally, we were all dumbfounded, ready to maintain an open mind in the light of what we had witnessed. Willie broke out in that misleadingly boyish smile of his, and then explained the trick with which we had been so successfully hoodwinked. Willie reminded us how Madame sat down with the basket of sealed envelopes, shuffled them, and balanced them neatly on her lap. For good measure, she bound a bandanna around her head, appearing to cover her eyes, although in reality she could still peek out the bottom. Next, she held up an unopened envelope from the top of the pile. The congregation didn’t know that, while stage furniture was being rearranged, Madame had managed to open one envelope and hide its message up her sleeve. While she was busy calling up the spirits, she slipped it out of her sleeve onto her lap (behind the stack of envelopes) and perused it. Now she was able to address every concern the letter raised. The congregation, of course, thought she was mystically reading through the unopened envelope. Finally, she opened the envelope, extracted the letter within, smoothed it on her lap, switched it with the letter she had just read, held up the first message, and asked something like, “Mabel dear, is this your letter?” Of course it was. And now she had the next letter on her lap, ready for the next round. The trick was repeated with each envelope, until the final envelope (which was of course a fake) had been opened. In addition to his magic performances, Willie delivered morning newspapers for the San Francisco Chronicle. He was an early riser, so that job was right up his alley. On occasion, though, I would have to substitute for him. Willie owned a Volkswagen Microbus which was generally jam packed with magic tricks and accessories, plus, in the early morning, stacks of newspapers. San Francisco’s many parking restrictions were no impediment to Willie – you can’t show up late for a gig simply because of some red lines on the curb – so he accumulated parking tickets at a steady trickle. Instead of paying the fines, however, he would wait until he was summoned to appear in court. He would generally be given the choice of either coughing up or spending the night in jail. For Willie that was a pretty good deal, and the next day he would describe in juicy detail all that he had experienced overnight. 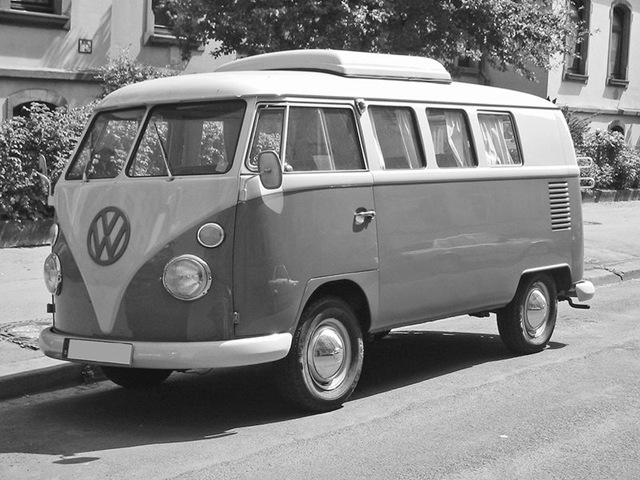 Whenever Willie lodged at the state’s expense, I got up at 4:00 in the morning to deliver newspapers in his microbus. It was sheer hell. LOREN: The other guy who moved in was Walt Curtis, who was older than us and was missing part of one of his fingers. He said people called him Nine-Fingered Walt, and he was working on a novel. Walt grabbed the large front room under ours. We could hear him typing at all hours, then cursing and a bang as he flung the portable typewriter against the wall. At one point, he put a sign in the grocery store on the corner saying, “Typewriter for sale. I can’t use it—I only have nine fingers.” Nobody bought it. Dave would visit us on weekends, and he, Buck, Walt and I would get roaring drunk on an incredibly cheap wine called Old Chateau. Buck had painted an abstract-expressionist masterpiece on a large piece of wood, and I would have to protect it from him when he was drunk, as he would throw wine at it. (I still have this painting hanging in my house—later on Buck told me he didn’t know how he did it, and couldn’t do anything like it again.) Buck would then throw up on himself, tear off his shirt, buttons flying in all directions, and stagger across the street to the Laundromat, wearing a pith helmet and shouting “pith on you!” at the top of his lungs. At one point I went out looking for Buck and found him lying passed out in the middle of Divisadero Street, usually a very busy four-lane road. When I first moved in with Buck, he was managing to eat on fifty cents a day, by downing the same canned fruit cocktail and soup over and over. I persuaded him to vary his diet, but we still were constrained to eat as cheaply as possible. We found that we could buy bags of dry beans, soak them overnight, then make them into a soup with barley and lamb’s breasts. Ghastly stuff. To make matters worse, when Dave came to visit us from Stanford, he would expect us to feed him. He once complained bitterly that the pancakes I served were mixed so haphazardly he could still see the baking powder. One afternoon Dave, Walt and I went downtown to Union Square. 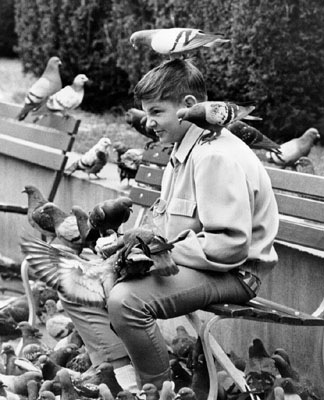 Dave bought a bag of popcorn on the way, and the saleswoman told him, “Don’t you feed those stinking pigeons!” But when we got there, Dave started throwing popcorn at them anyway, while Walt and I picked up the popcorn and devoured it. We heard a commotion, and there was a guy with a huge bag slung over his shoulder, throwing handfuls of something to the pigeons, which were perched all over him. Then another guy started shouting at the pigeon feeder: “Don’t you feet those nasty pigeons! They’re rats with wings!” while trying to stomp on the pigeons on the ground. Finally, the shouting guy turned toward us and said, “Why don’t you feed these young people instead? They look like they’re starving!” The pigeon feeder turned to us. “You boys aren’t starving, are you?” he asked. “As a matter of fact, we are, sir,” Walt replied. Then the pigeon feeder noticed that Walt had stuffed a pigeon into Dave’s empty popcorn bag, and was trying to stuff the bag into his pocket. “What are you doing with that pigeon?” the guy demanded. “Squab for dinner,” Walt replied slyly. Finally we convinced him to let the pigeon go. The last person I recruited to 857 Divisadero was a music student named Gerry Keil…Gerry was tall, skinny, and reminded me of the actor James Arness. He loved everything British, and sometimes affected an umbrella and an English accent. He played the bagpipe at the Edinburgh Castle pub in San Francisco’s Tenderloin, and used to ride the bus or walk through the Fillmore District in his kilt. He had a knife in his long stocking, and told me that if anyone laughed at a Scotsman’s kilt, that person must die. Apparently nobody laughed. I met Walt in Portland in the late 60’s, Don Chamber’s and I would hang out with Walt and join him at open poetry night’s, open mike at coffee shop’s and drive him home when he couldn’t make it on his own. What a character!…way to high for me! 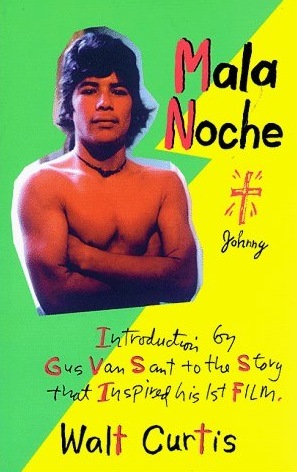 I was thrilled when Gus Van Sant filmed “Male Noche” in Portland, Don had a cameo…I wasn’t asked!